The center piece, the server. 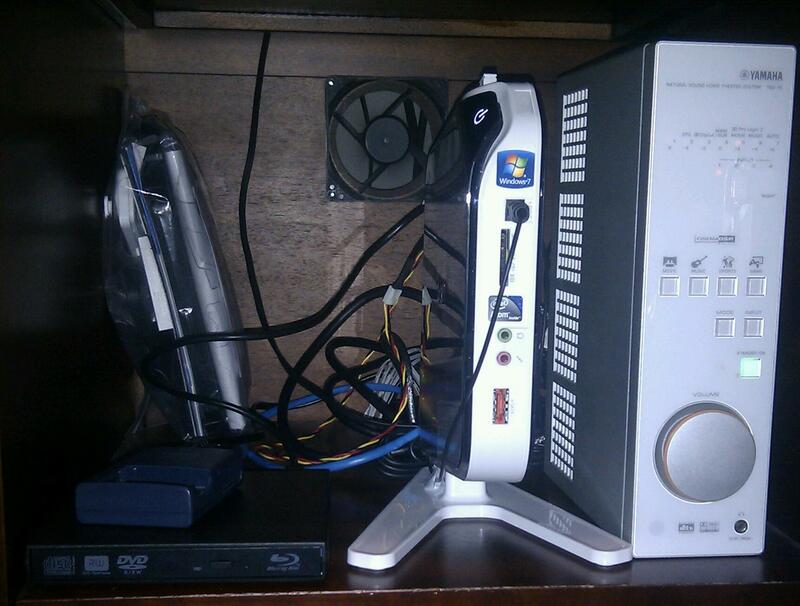 This machine does all the recording of all tv shows, with it’s two Dvico capture cards. I have 1TB of storage space allocated to recordings. But this space will fit over 12 months of recording due to it’s after recording compression and advert removal. 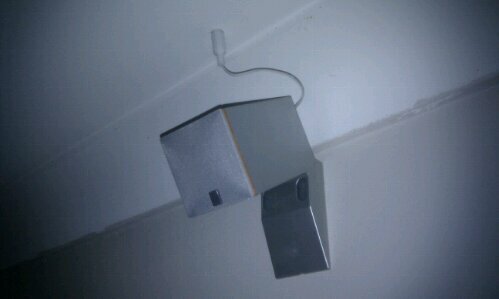 This means the only tv wall point in the house is in my study, which saves the need for antenna spilters or amplifiers. I also get the best of signal as there is only one device connected to this antenna. This isn’t the only thing this machine does, as it’s on 24/7, it also hosts this website and others. I also use it as a filesystem server as it has another 4TB worth of storage in it for downloaded media, exported tv shows, family photos, documents and etc. 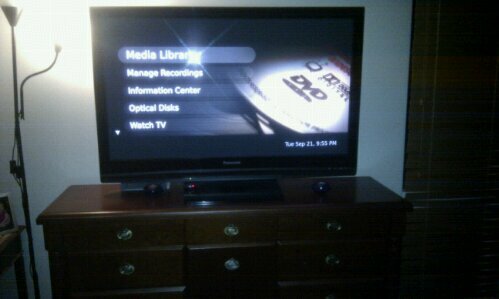 That means everything else on the tv’s can be off all the time, except during playback, so this then saves power also. I have been using MythTV since 2005 and find it to be the most stable and reliable available. 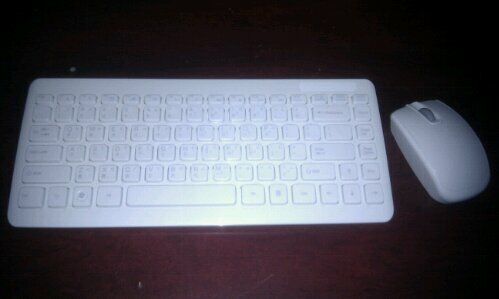 The picture quality is excellent and the interface is very easy to use. This server is my second built for MythTV and I regularly get uptime’s of 3 months continually running, with no reboots / shutdowns / or crashes. Something I’m sure most computers users wouldn’t believe. I run a mythtv frontend for my tv watching. It comprises of the amplifier on the right, the computer in the middle. For air movement within the cupboard, as I keep the door close during use, I installed the fan on the back. MythTV is a Linux system that allows live, recording, and playback of tv channels. It also plays downloaded content. DVD Playback, music & photos. It is truly the one device does all solution. Mind you it can be difficult to setup and maintain. You quite literally need to be a computer genus. So its not recommended for everyone. But it does make for a very simple and easy to use entertainment system. One remote, one input, one device, 12 cables. Not only that but you can have multiple viewing systems from the same media source. Imagine watching a tv show, and you need to change rooms ( kids get home and you want to move somewhere quieter, or you want to move to bed ) you can position save, move rooms and resume from where you left off. Ok, you think that’s something I can do in an advert break. Well I don’t have any for these as this system automatically finds and skips these. How awesome is that! You may notice on the back on the monitor. It’s another computer the same as the lounge room, it’s just got a smaller monitor screen, and only stereo speakers. I said in the lounge room post that it is easy to use, well my 4 year old daughter has this system down pat. home is that its got a cheap computer monitor on it so that the hours my kids watch the same cartoons over and over aren’t using plasma hours on my good tv. This system means I’ve only needed to run network cabling to my TV’s instead of antenna coax. This also means higher quality signal at the single antenna point I have got. 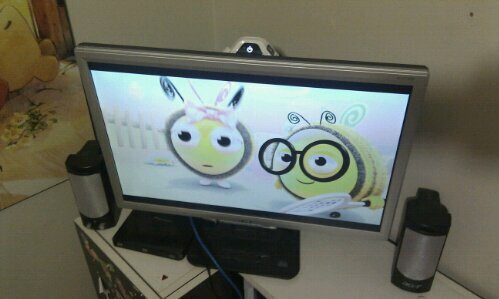 Update 17th May 2011: New monitor installed, it’s a bit bigger and has DVI for a better picture. 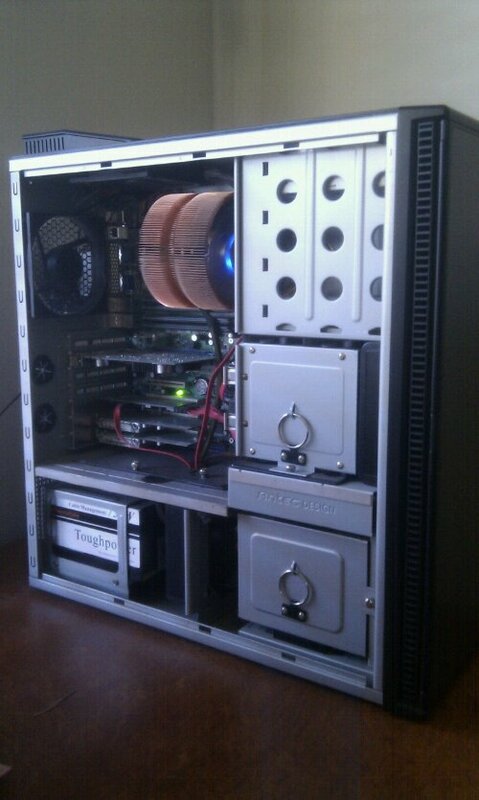 It also gave me the ability to attach the PC to the back of the monitor, keeping a clean and well presented look. 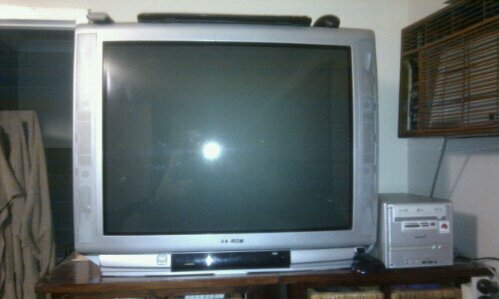 This is the bedroom system, yes its a 80cm CRT TV, it was my lounge room tv before the plasma. Makes for a good bedroom tv, except for the weight of it. Which is funny because the computer, until only recently came from the lounge room also. It is a shuttle model, they were known as the smallest computer you could get, tell you what, its not the case now. This one also has rca, svideo, vga, dvi video outputs on the nVidia 5700 as well as 3.5, toslink audio off the motherboard. This being the third mythtv front end that my house has got, there is nearly one for every family member. Convenient if someone is watching something your not interested in. Or this one is setup in front of walker, so if we what to exercise.